Can you imagine a plant like this one? Light requirements: sun, part shade, shade. Soil Moisture: dry, moist, wet. Evergreen shrub. What else could anyone want? Except, of course, it’s tenacity and motto ‘I’m not going anywhere!’ If every plant grew in any conditions, gardening would suddenly become very boring. We need to do our detective work. We need to solve this logic puzzle of the right plant in the right place. Because when we finally do figure it out and get it right, it’s a great feeling. We start becoming more salal-like. We really believe in ourselves! I still have my salal leaf that you gave me before my interview!! I don’t recognize this shrub, so maybe it isn’t grown in Europe. I’ll have to keep my eyes open and see if I can spot it anywhere! I love evergreen shrubs too. They keep the garden looking vaguely alive in the middle of winter. Man, I wish people would plant salal in the PNW instead of English Ivy. For institutional plantings, borders in our tract developments, and the like it is FAR superior, and when the birds carry the berries away the volunteer plants enhance the forest, rather than choke it. 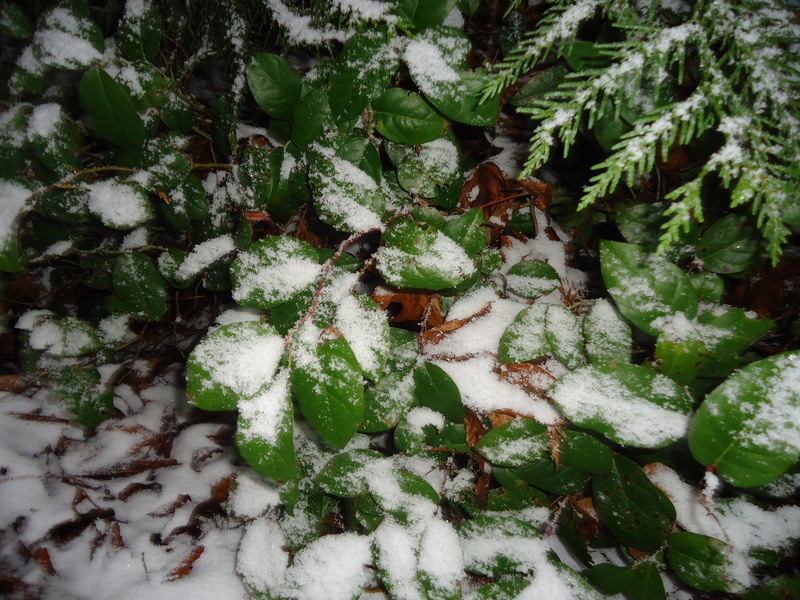 It is so frustrating to discover English Ivy in my woods…up with Salal! Next Next post: We Can Grow Anything in Washington!